The global gateway is a term that refers to the technologies and devices used by a Web site to direct users to language-specific (or country specific) content. Most companies underestimate the importance of the global gateway, and I’m not just referring to US companies. 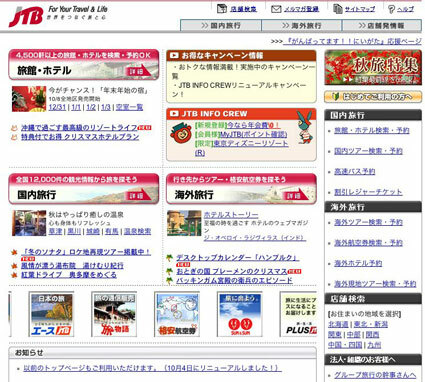 I am planning a trip to Japan next month and have visited a number of Japanese hotel and travel Web sites. Since I don’t speak Japanese, I get to experience firsthand the global gateway. Let’s start with this Web site, which has information on a Sumo tournament I hope to attend. Notice the “English” link on the right side of the page. I simply follow this link and I find the information I need. It seems simple enough, but you’d be amazed just how few companies locate their gateways in a highly visible location. I doubt most visitors will have the patience to dig this deeply for an English link. The good news is that the majority of Japanese Web site that I have visited so far do offer English content; the bad news is that this content is often quite hard to find. So where’s the best place to locate your global gateway? I recommend the upper right portion of the Web page. An increasing number of Web sites have located their gateways there and I believe many more will follow. Over time, I believe this will become the de facto location that visitors first look when they want to find local content.